Jazz trio the LA Diamond Trio performs at Thursday Nights Live on Oct. 25. The trio boasts members who've worked with jazz luminaries including Herbie Hancock, Ramsey Lewis and Wynton Marsalis. LA Diamond Trio shows feature jazz, swing, Latin and dance standards. This free concert is open to the UCR community. Beer and wine will be available to purchase for those with a valid ID. 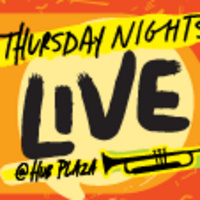 Thursday Nights Live will be hosted Thursdays through Nov. 1 from 5:15–8 p.m. on the HUB Plaza. Learn more about the LA Diamond Trio at ladiamondtrio.com. No cost to attend, food, beer and wine available for sale.